Painting your a ceiling needs a thorough estimation if you are not a professional who wants to do-it-yourself, just like what my husband and I did for the ceiling of the permanent house we live now. Before that happens, the house had a drop ceiling which we really thought is not a good idea, especially when the place is about 50 years old and needed updated and some maintenance. We decided to remove the drop ceiling and place drywall in its place instead. We had to level the ceiling and install the wiring for the lights before we painted the color we chose. It took a while to fix it, hence made it much easier to paint when that was done. If you are not comfortable with it, a quick call from http://www.lakeside-hire.co.uk/ would save you some time. There are at least 2 different kinds of painting we did for the two different ceilings we have in this home. The upstairs was still in great shape, yet we just needed to seal some gaps between the drywall to make it look even better. We did a primer coat to smooth out the ceiling; adjusting the coat on the drywall before we paint will make the ceiling sparkle and glisten after the coat of paint has been applied. Before I start the checklist of the equipment you need to easily paint a ceiling. I have to let you know that my husband and I were not professionals. An awesome DIY idea we found while searching online is what inspired us to tweak things out. Tape measure - This would help you measure the walls first so you will know how much paint to buy. Typically, one gallon of paint covers 400 square feet. Primer - Use a primer with a stain blocker. This is very useful, especially with an old ceiling and you don't want any stains to be seen, it helps covers them. Stirrer - Usually comes free with any paint purchase. Another useful item as you should always stir paint before applying. Roller tray - Use a metal or sturdy plastic tray for smaller project. Also a plastic one comes very handy as well as save you time to clean up. Roller and roller handles - Make sure you have a few extra in case you have different colors you want to paint the ceilings. Some handles are nice in case it is hard to reach! As for us, we decided to go with white so it would be easier to match up to the color of the walls we pick. Tray liner - To save cleanup time we used a disposable paint-tray liner. Easy to dispose when you are done. Also cheaper this way. Roller cover - A 3/8-inch nap provides the best finish for most interior walls. A 3/8-inch for “smooth wall”, 1/2-inch for textured, 3/4-inch to 1 1/4-inch nap required for heavy texture or painting a popcorn ceiling. Angled sash paintbrush - To paint trim, use a two-inch angled brush, which will give you more control. Blue painter’s tape - Essential for protecting trim or walls that you don’t want to get paint on. Drop cloths - Protect furniture with plastic coverings. Place a reusable canvas drop cloth, which is less slippery than plastic, on the floor. Sponge - Before priming, wash the walls with a few drops of dishwashing detergent mixed with water. Step ladder or stool - this would help you reach the highest area and it would be easier for you to paint them conveniently. Paint - many colors to choose from! It is very fun to have a DIY accomplished, especially something new and challenging. It makes you feel like you have done great things with the help of researching as well as learning something from it. This list of equipment hopes to give you guidelines if you start to paint up your own ceilings at home. I haven't tried painting anything on my own, these tips could be useful. Thanks for sharing! Awesome DIY tips, thanks for sharing all the useful information. My hubby does not like to paint Mommy N. These tips will surely help him prepare and be ready to paint. 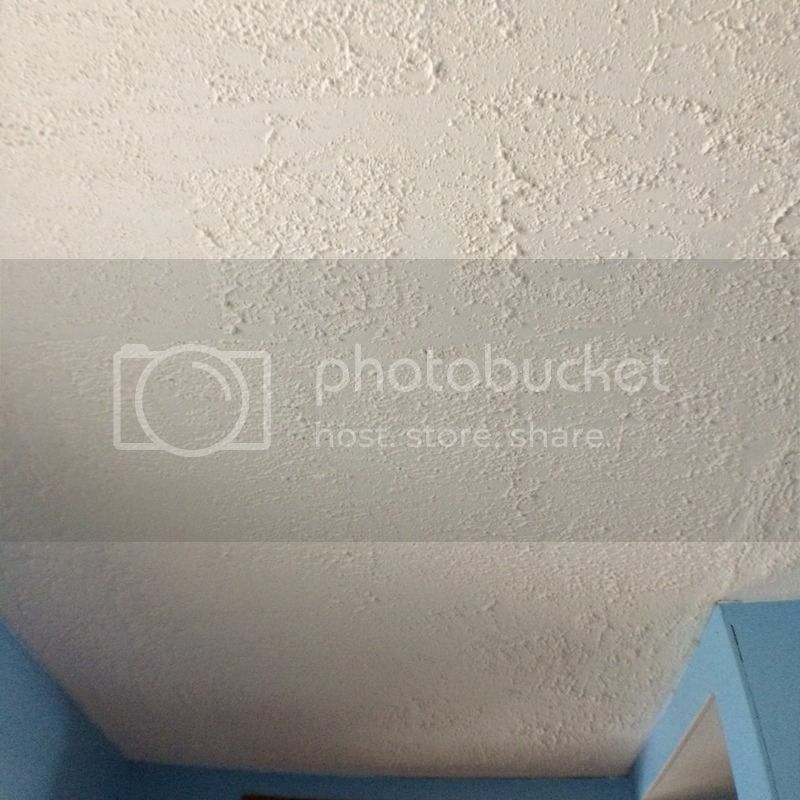 When my husband painted our ceiling, he didn't do a good job, lol. What a great list for DIY painting at home! It's something I can't do on my own, however. Lol!